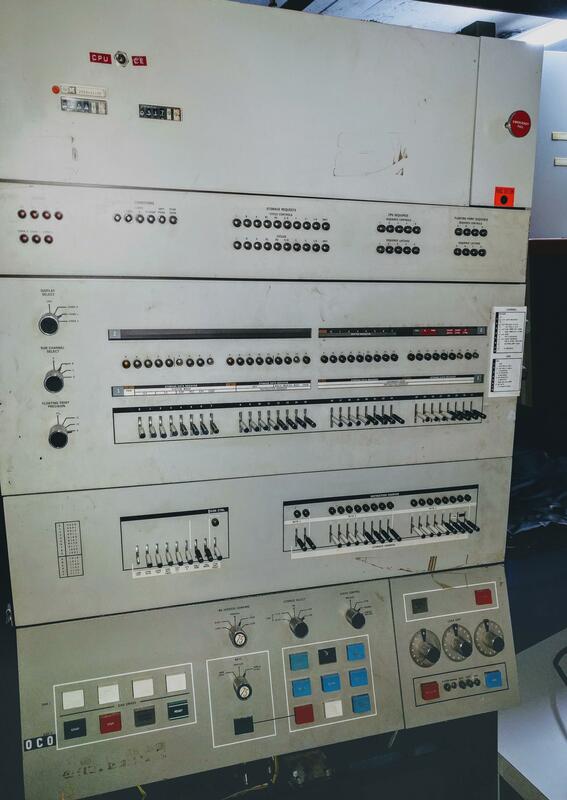 I recently received a vintage core memory array, part of an IBM System/360 mainframe computer. These arrays were used in a 128-kilobyte core memory system that filled a large cabinet weighing 610 pounds.1 This article explains how core memory worked, how this core array was used in mainframes, and why core memory was so bulky. 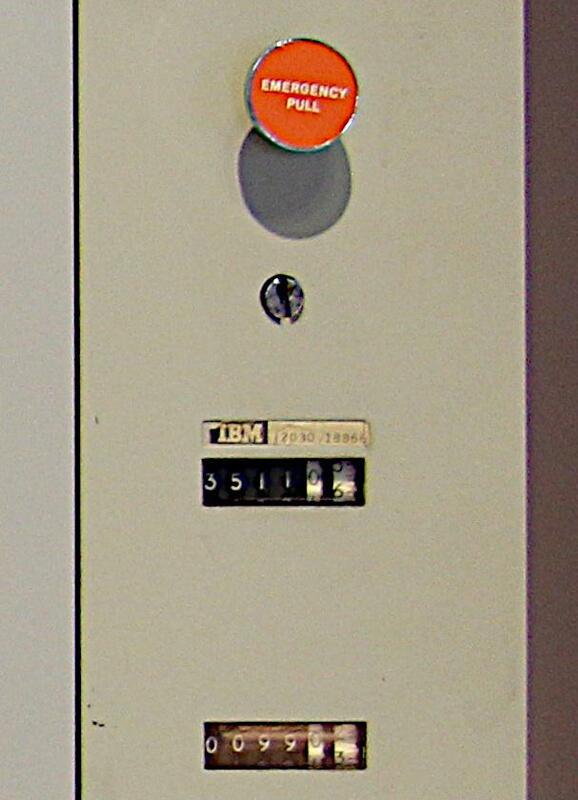 A 64 KB core array from the IBM S/360 Model 50. There are 18 core planes stacked front-to-back. The blue cables are the sense/inhibit lines. Driver cards are plugged into the front of this array. 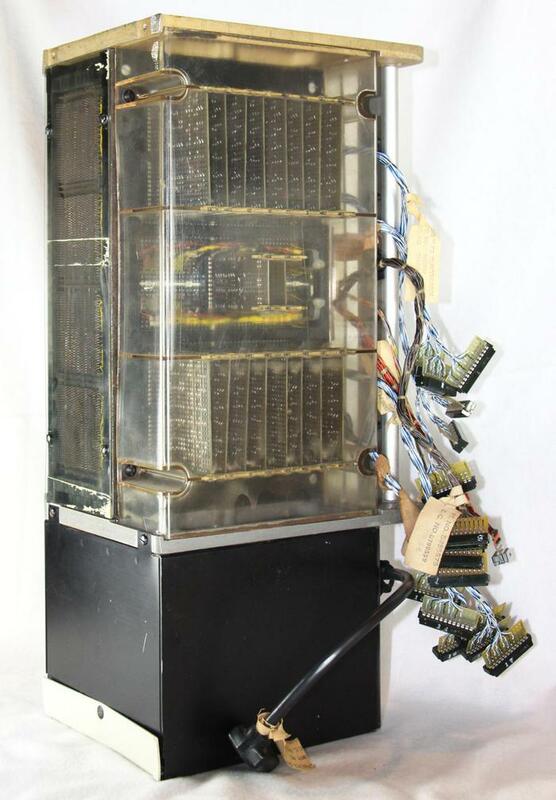 Core memory was the dominant form of computer storage from the 1950s until it was replaced by semiconductor memory chips in the early 1970s. 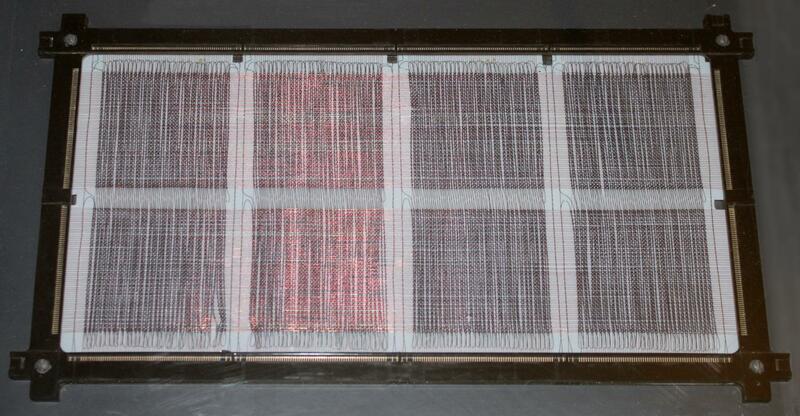 Core memory was built from tiny ferrite rings called cores, storing one bit in each core. Each core stored a bit by being magnetized either clockwise or counterclockwise. A core was magnetized by sending a pulse of current through a wire threaded through the core. The magnetization could be reversed by sending a pulse in the opposite direction. Thus, each core could store a 0 or 1. 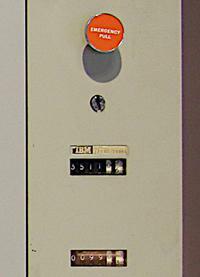 Closeup of an IBM 360 Model 50 core plane. There are three wires through each core. The X and Y wires select one core from the grid. The green wire is the sense/inhibit line. These cores are 30 mils in diameter (.8mm). 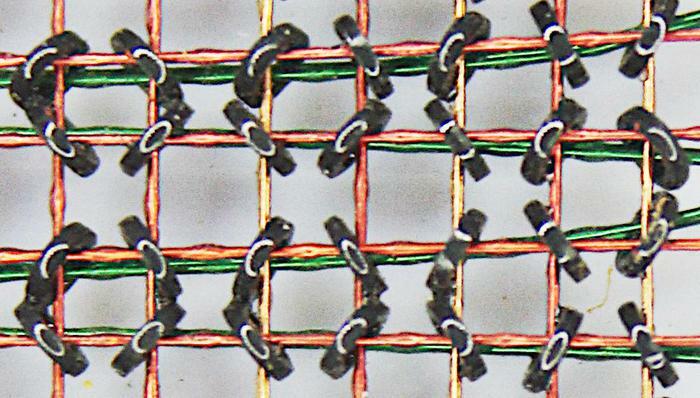 Using a separate wire for each core would be impractical, but in the 1950s a technique called "coincident-current" was developed that used a grid of wires to select a core. This depended on a special property of cores called hysteresis: a small current had no effect on a core, but a current above a threshold would magnetize the core. This allowed a grid of X and Y lines to select one core from the grid. By energizing one X line and one Y line each with half the necessary current, only the core where both lines crossed would get enough current to flip while the other cores were unaffected. A Model 50 core plane is arranged as a grid of cores. The Y lines run horizontally. X and sense/inhibit lines run vertically. The sense/inhibit lines form loops at the top and bottom. Each of the four vertical pairs of blocks has separate sense/inhibit lines. Each core plane was about 10¾ × 6¾ × ⅛ inches. To store a word of memory, multiple core planes were stacked together, one plane for each bit in the word. The X and Y drive lines passed through all the core planes, selecting one bit of the word from each plane. 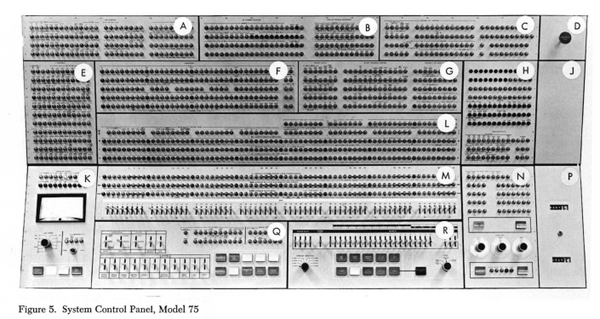 Each plane had a separate sense line to read that bit.7 The IBM core stack below stored a 16-bit word along with two parity bits, so there were 18 core planes. The core memory consisted of 18 core planes stacked in horizontal layers. Connections to the edge of each plane are visible at the front. The cores themselves are not visible in this assembled array. 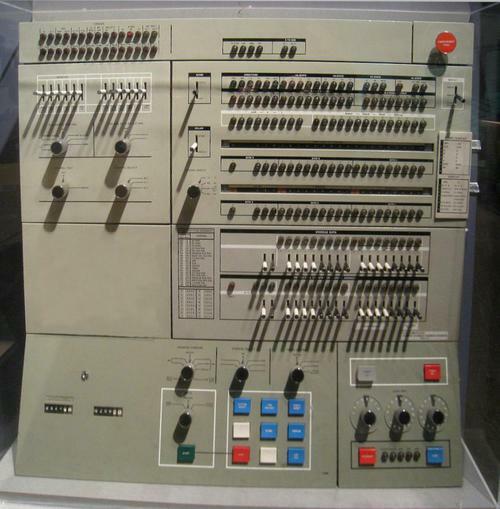 Writing to core memory required additional wires called the inhibit lines, one per core plane. In the write process, a current passed through the X and Y lines, flipping the selected cores (one per plane) to the 1 state, storing all 1's in the word. To write a 0 in a bit position, the plane's inhibit line was energized with half current, opposite to the X line. The currents canceled out, so the core in that plane would not flip to 1 but would remain 0. Thus, the inhibit line inhibited the core from flipping to 1. To summarize, a typical core memory plane had four wires through each core: X and Y drive lines, a sense line, and an inhibit line. These planes were stacked to form an array, one plane for each bit in the word. By energizing an X line and a Y line, one core in each plane could be magnetized, either for reading or writing. The sense line was used to read the contents of the bit, while the inhibit line was used to write a 0 (by inhibiting the writing of a 1). The IBM core memory I examined was fairly advanced, so there were some enhancements to the generic core memory described above. This core memory used the same wire for sense and inhibit, so there were three wires through each core instead of four, as you can see in the earlier closeup photo. This made manufacturing simpler, but complicated the circuitry. In addition, the core plane has some unusual features to reduce the amount of noise picked up by the sense wire, making it feasible to detect the tiny voltage in the sense wire. First, each plane had four sense/inhibit wires, not one. Since a sense wire only passed through 1/4 of the plane, it picked up less noise.7 In addition, the sense wire was shifted between the top half of the plane and the bottom half, so noise induced by an X line in one half would be canceled out in the second half. The photo below shows the sense wire (green) shifting over. 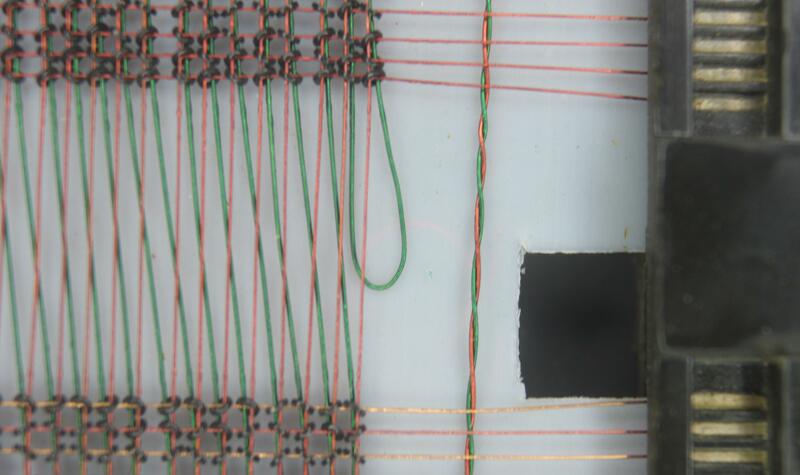 This closeup of the core plane shows the X and Y wires (red) and the sense wire (green) threaded through cores. Note that the sense wire shifts over two columns in the middle of the plane to reduce noise. Building planes with this shift used a patented manufacturing technique. Wires are connected to the frame of the core plane on the right. After passing through all the planes, the drive lines reached this circuit board. The Y lines (left and right sides) were returned to the drive circuitry through the yellow cables in the center. The X lines (top and bottom) were sent back through the stack for phase reversal. The X and Y drive lines in a core array pass through all the planes in the stack. 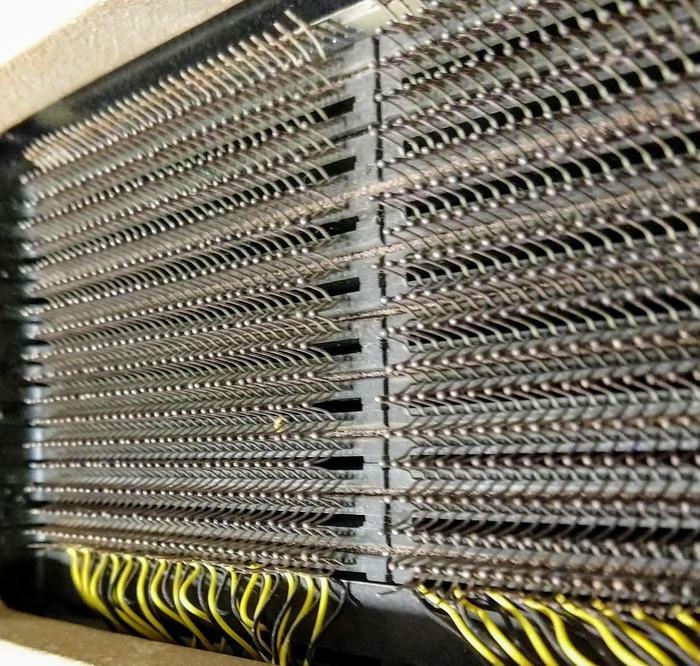 Core arrays typically used jumper wires between the core planes, requiring a large number of soldered connections. 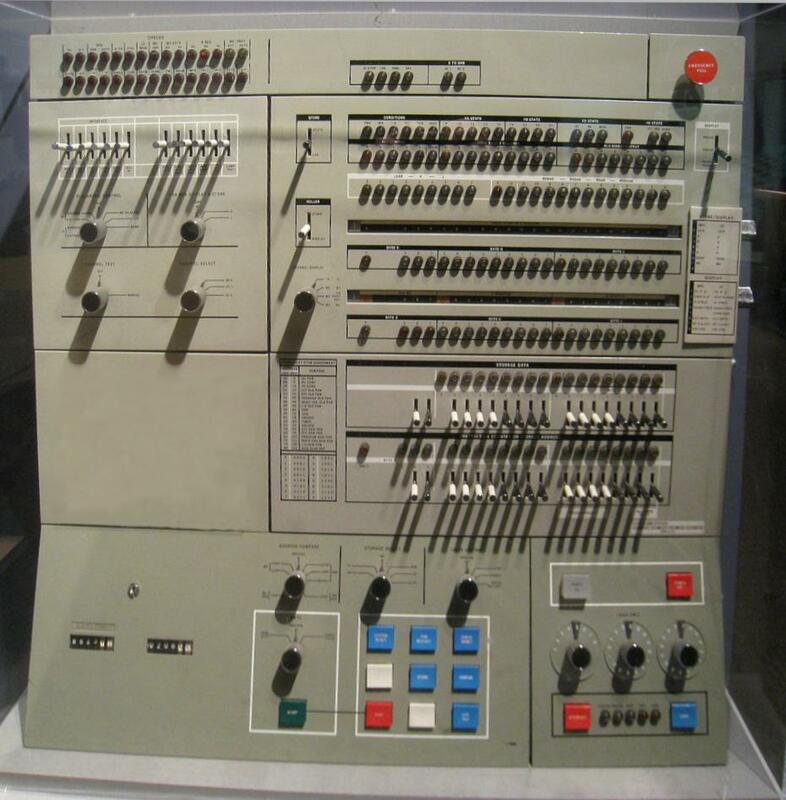 One innovation in IBM's core memory design was to weld the planes together directly. Alternating pins along the edges of the plane were bent up or down and welded to the neighboring plane, simplifying manufacturing. This structure is shown in the photo below. 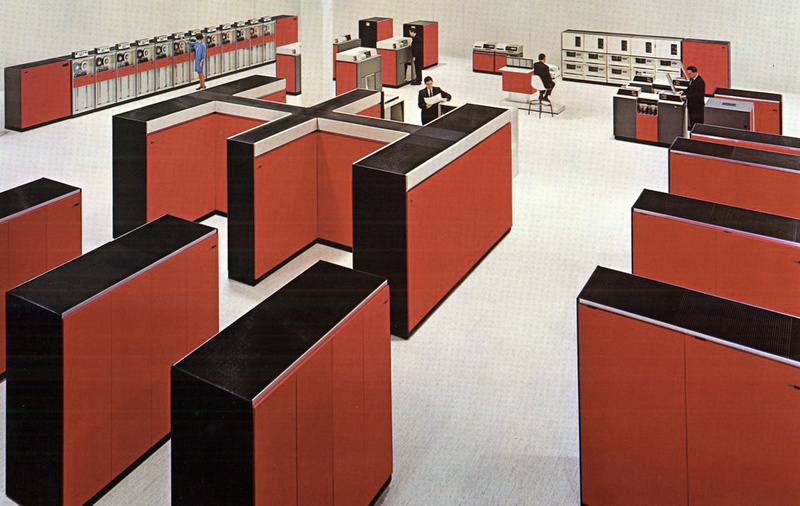 Eighteen core planes were stacked to store two bytes along with two parity bits. Each plane had metal pins that were alternately bent up and down, and welded to tabs on the neighboring planes. The black and yellow wires connected the lines to the driver circuitry. The X lines are visible in this photo. I'll now take a detour to describe the systems that used this core array, and then discuss the circuitry that supported the array. 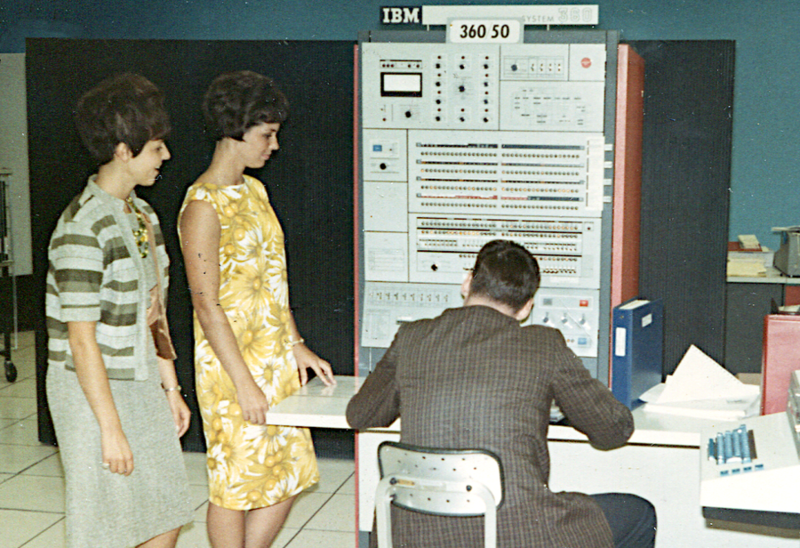 IBM used several different core memory systems in the S/360 line. 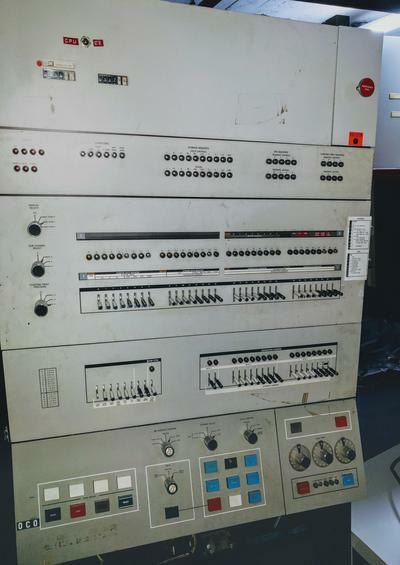 The core array in this article was used in the Model 40, Model 50, and the FAA's IBM 9020 air traffic control system. 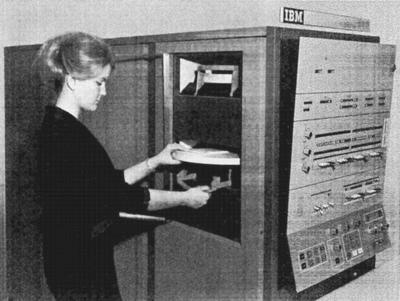 The Model 40 was a popular midrange computer for scientific and commercial applications and was one of IBM's most profitable computers. 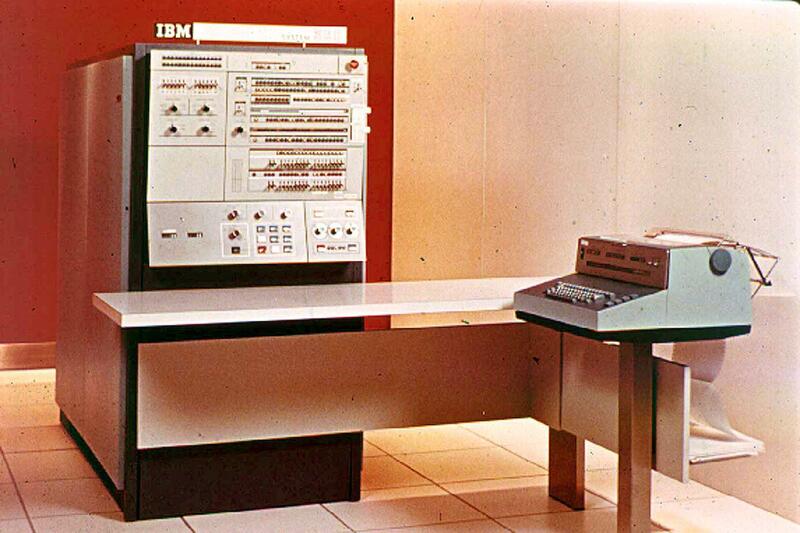 It typically rented for about $9,000-$17,000 per month and brought IBM over a billion dollars in revenue by 1972. 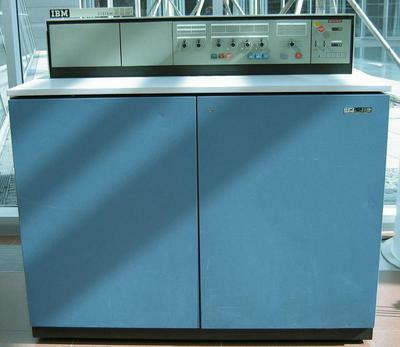 To achieve better performance than the low-end models, the Model 40 used a two-byte datapath; the core memory system was designed to fetch two bytes at a time rather than one. 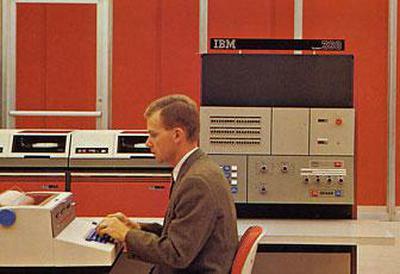 The IBM S/360 Model 40. Photo source unknown. The IBM S/360 Model 40 was a compact system (for the time), with the computer in one frame known as the main frame. 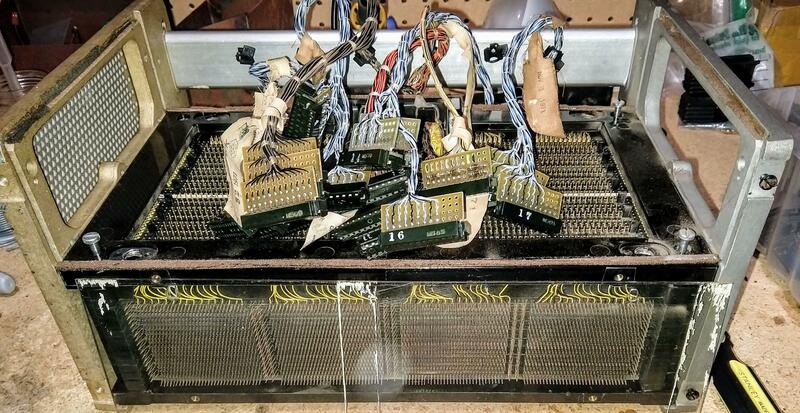 This frame held the circuit cards that make up the CPU, along with the power supplies, microcode (stored on metalized mylar sheets read by transformers), and core memory storage. (In contrast, large 360 systems might have dozens of frames.) The 128 KB core memory unit was mounted in the front right of the Model 40's frame, behind the console. 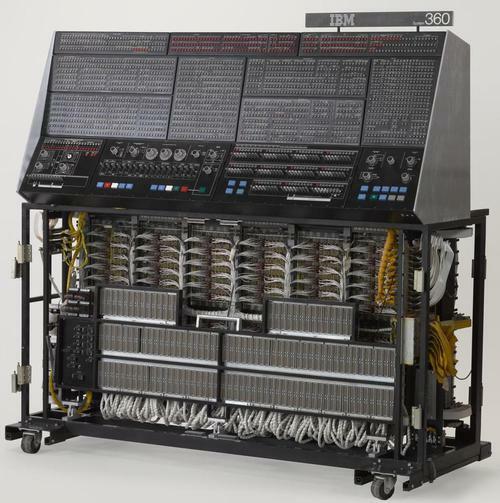 The Model 40 could support an additional 128 KB of core memory, but this required a second storage frame, a five foot by two foot cabinet weighing 610 pounds. 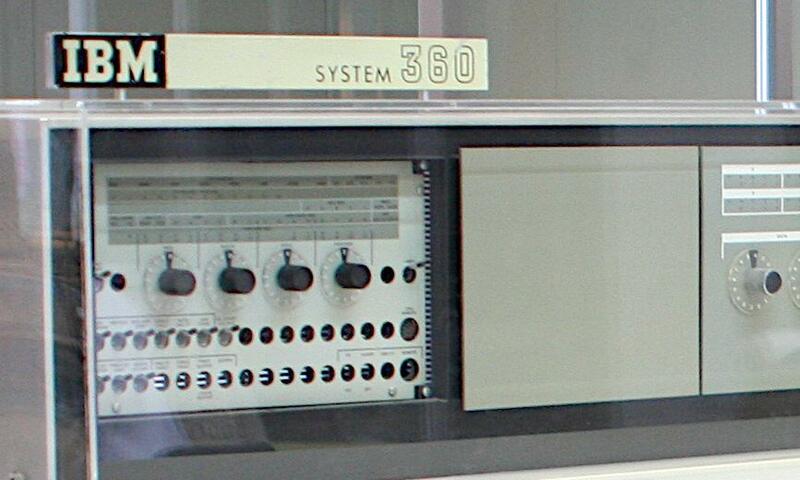 IBM S/360 Model 50. The console was attached to the main frame, about 5 feet deep. The storage frame and power frame are the black cabinets at the back. Photo from Pinterest. 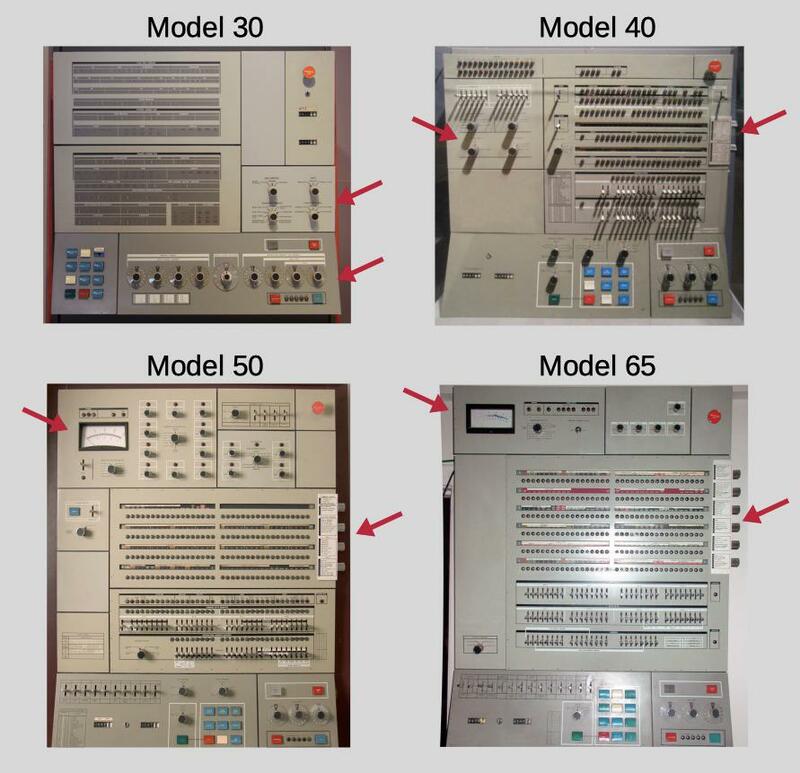 The Model 50 was a powerful mid-range machine in the System/360 lineup, significantly faster than the Model 40. The Model 50 typically rented for about $18,000 - $32,000 per month. 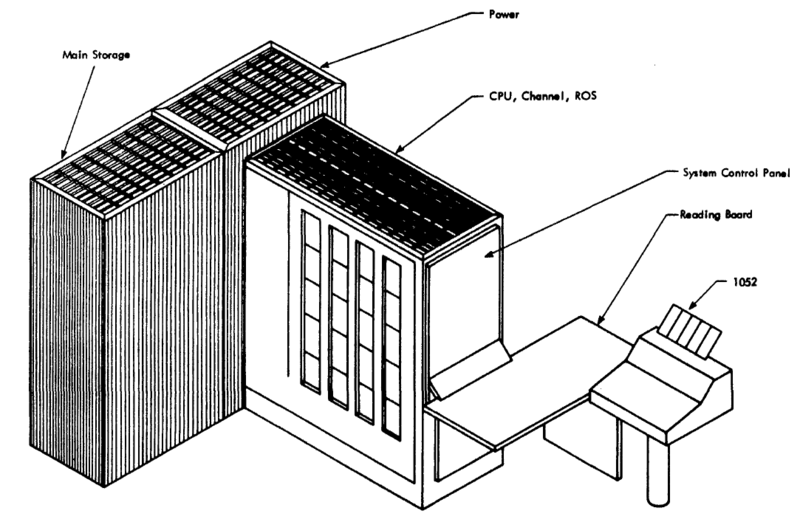 The diagram below shows how the Model 50 consisted of three frames: the CPU frame (main frame) in front with the console, a power frame holding the power supplies, and the storage frame. In the photo above, the main frame is orange and about 2.5 feet wide by 5 feet deep. The power frame is the black cabinet behind the main frame, about 5 feet wide and 2 feet deep. The storage frame is the same size, on the left behind the women. The storage frame could hold up to 256 KB; by adding a second storage frame behind it, the Model 50 could be expanded to 512 KB. 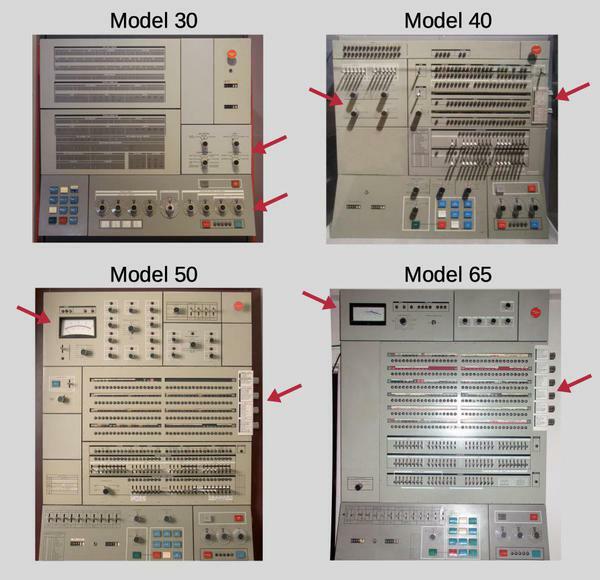 This diagram shows the three frames that made up the basic S/360 Model 50. 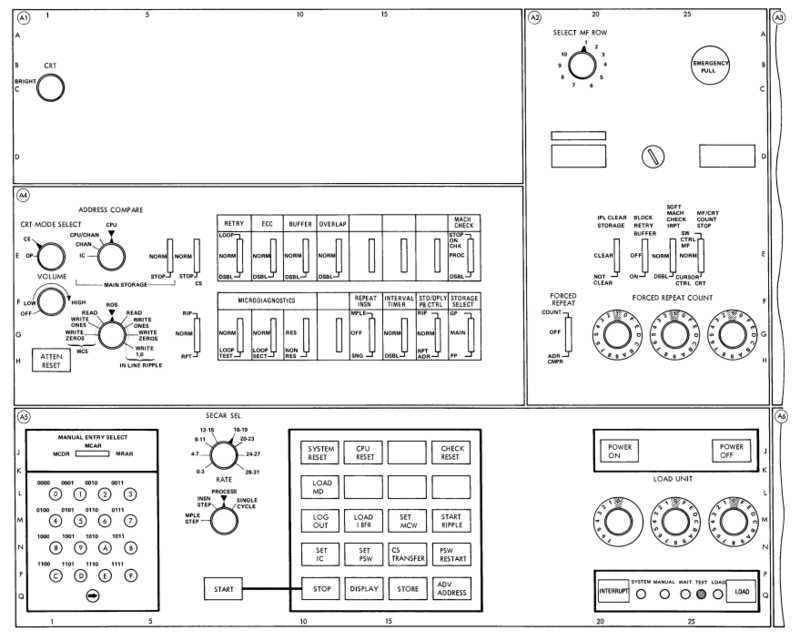 Source: Model 50 Maintenance Manual page 138. FAA center in Jacksonville using multiple IBM mainframes. Three Model 65s are along the left wall, while three Model 50s are towards the back. 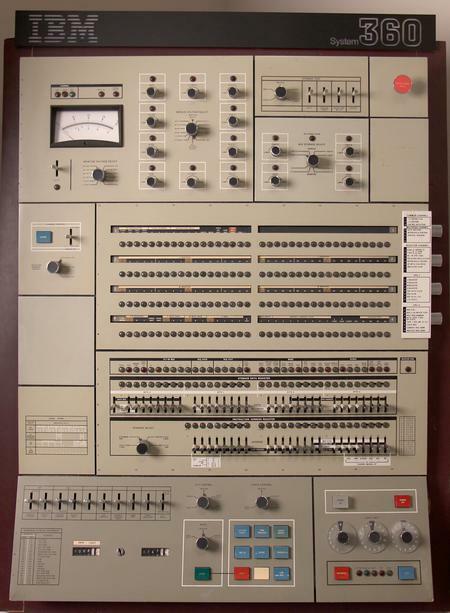 The control panel in front of the Model 50s panel is not a computer but a system monitoring panel. From FAA: A historical perspective, chapter 4. The stack of core planes isn't enough to implement a working memory; a lot of circuitry is required to generate the appropriate X and Y signals, amplify the sense line signals for reads, and drive the inhibit lines for writes. In this section, I explain how the stack of core memory planes was used as part of a full memory system. Each X and Y line through the core plane required two transistor drivers, one to generate the current pulse for reading and one to generate the opposite current pulse for writing. Thus, with 128 X lines and 128 Y lines,5 a total of 512 drive transistors were required, a very large number of transistors. These were provided by 16 "driver gate" cards, each with 32 drive transistors, plugged into each core stack.10 The photo below shows the 16 driver gate boards (each with 32 transistors) plugged into the core array. Core memory array with transistor driver boards. 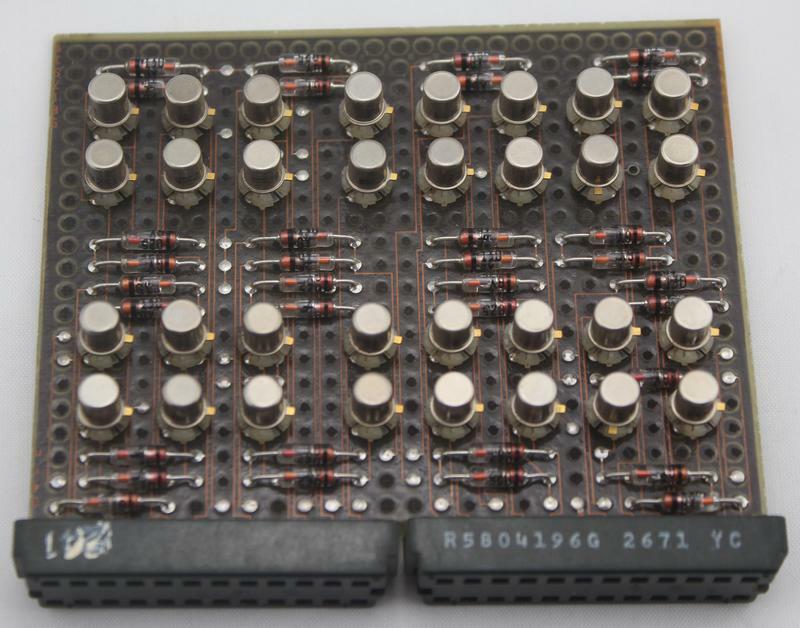 The photo below shows a closeup one of the transistor "driver gate" cards, with a transistor and diode for each line.6 Cards like this with discrete transistors were unusual in the IBM System/360, which for the most part used SLT modules, hybrid modules somewhat like integrated circuits. Each core array used 16 of these driver cards for the X and Y drive lines. 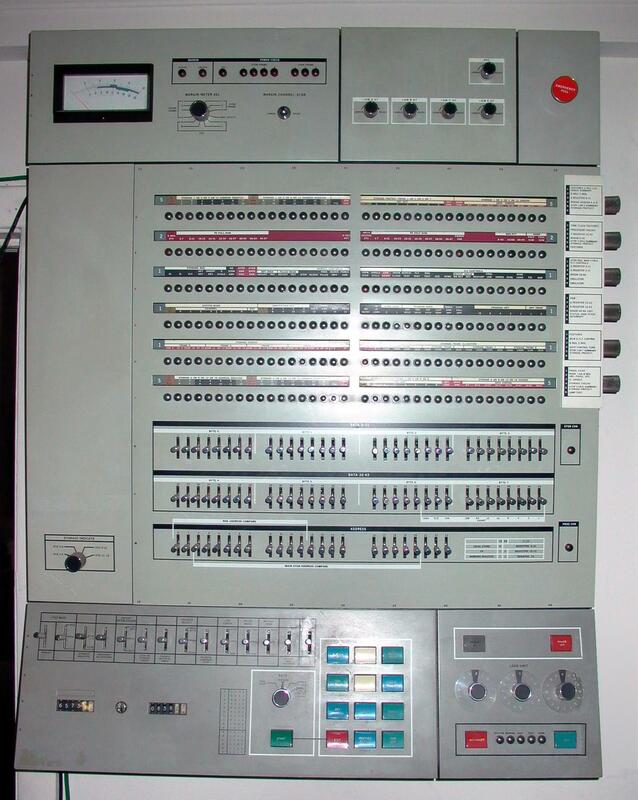 Each card had 32 drive transistors, as well as diodes. The core array and the drive transistors generated significant heat so the assembly was cooled by a fan mounted underneath. Plastic covers over the boards directed the airflow, as well as providing protection for the boards. 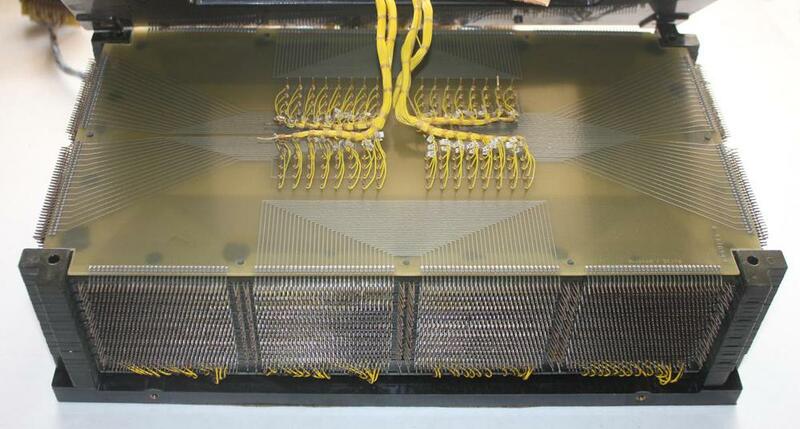 The photo below shows the core memory mounted on a metal frame with the fan attached. Core memory array with the fan mounted below and plastic covers installed. The core planes are at the back and the circuit cards are at the front. This assembly is about 2 feet tall. 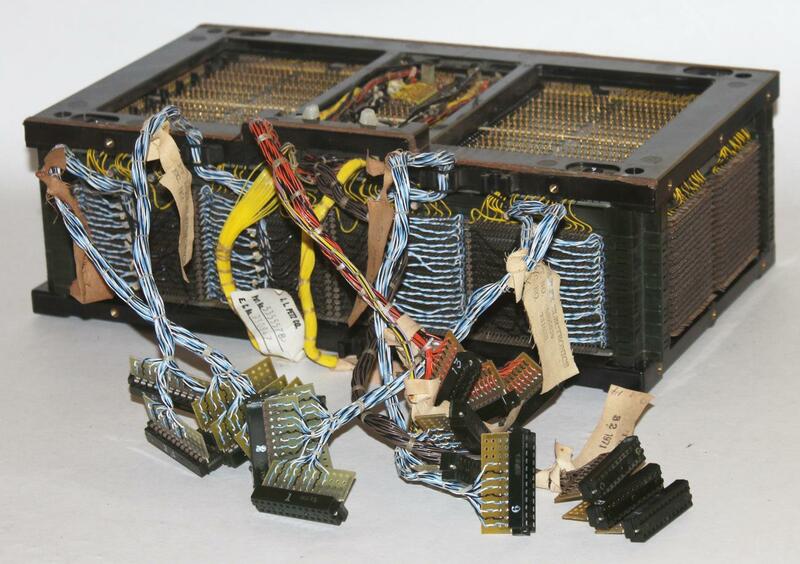 The photo below shows the 128 KB unit, consisting of two core arrays (on the left), along with about 62 small circuit cards of supporting circuitry. This unit was rather bulky, almost three feet long and two feet high.8 Over half of these circuit cards were sense preamplifiers to read the weak signals from the core planes.7 Other cards decoded the address to select the right lines9, handled timing, or did other tasks. 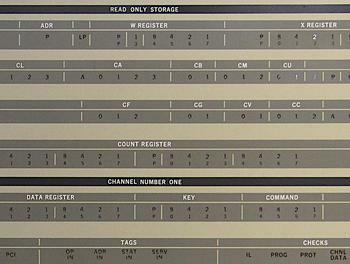 The slower Model 40 computer accessed one of the two arrays at a time, reading 16 bits (a half-word). 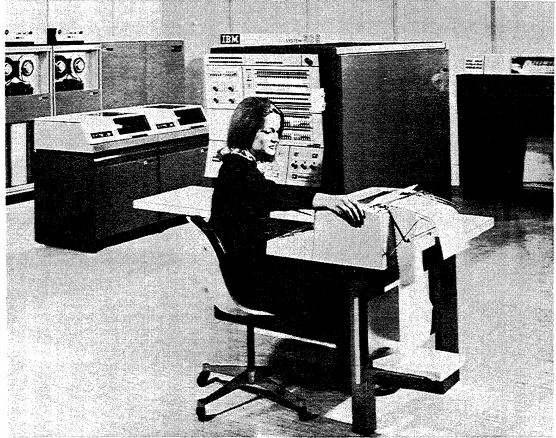 In contrast, the Model 50 accessed both arrays in parallel, reading a full 32-bit word at once for higher performance. 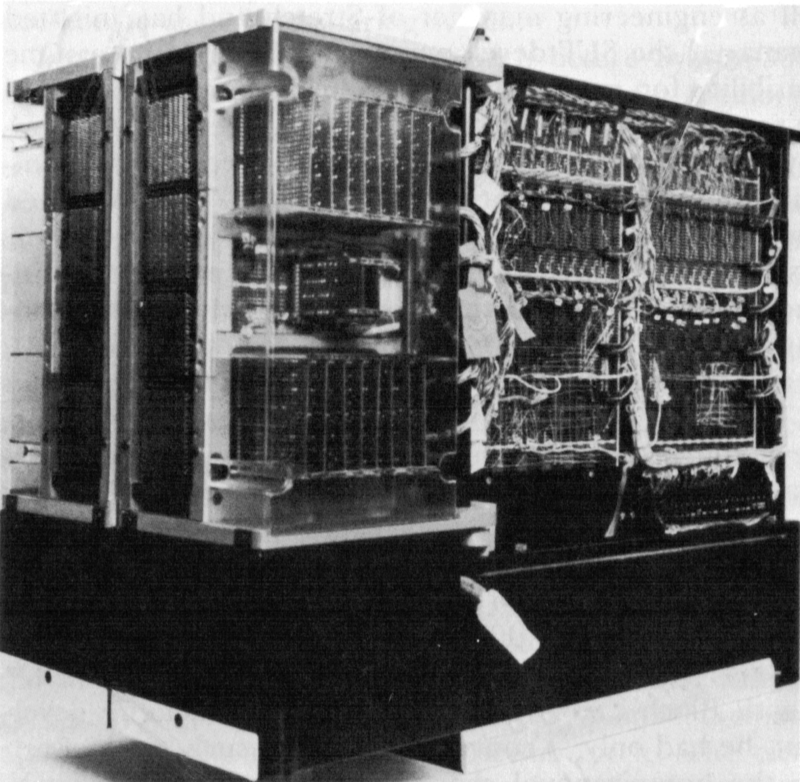 128 KB core module assembly. Two core memory stacks are at the left, and the supporting circuitry is on the right. Fans (black) are at the bottom. 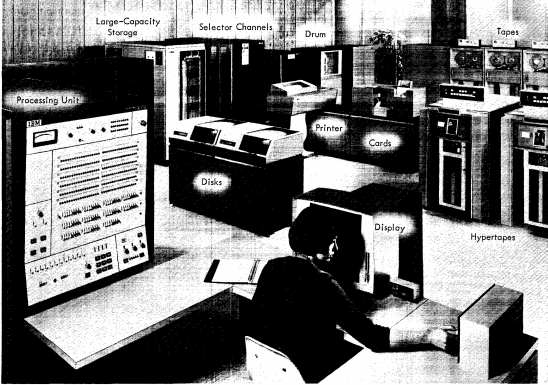 Photo from IBM's 360 and Early 370 Systems. 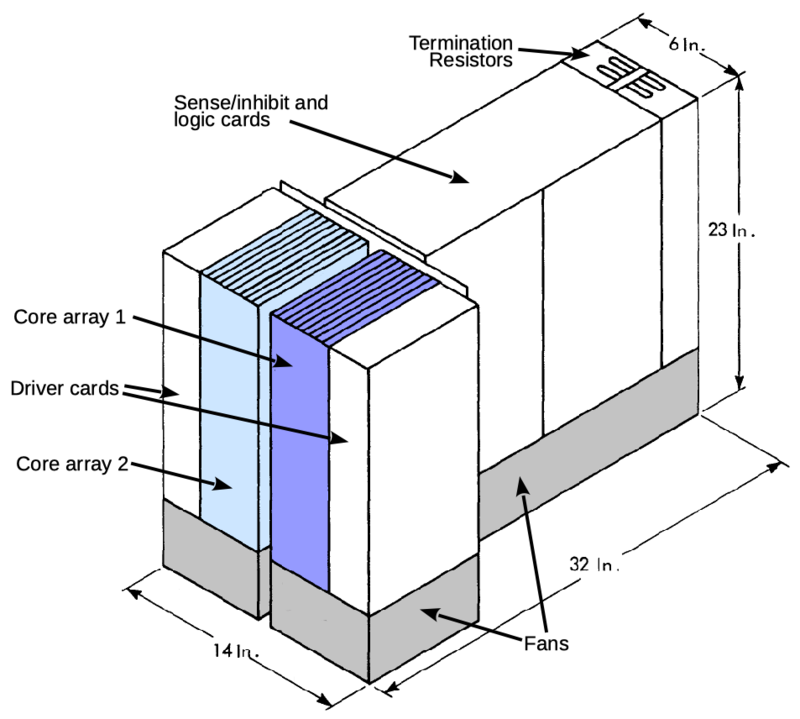 The diagram below shows how two of these core memory units (i.e. four stacks of 18 planes) were installed in the Model 50's storage frame, providing 256 kilobytes of storage. This frame was about 5 feet by 2 feet and 6 feet tall and weighed 1150 pounds. The storage frame also held the optional "storage protect" feature, that protected memory blocks from access by other programs. Note that even though the core planes themselves were fairly compact, the entire storage frame was rather large. 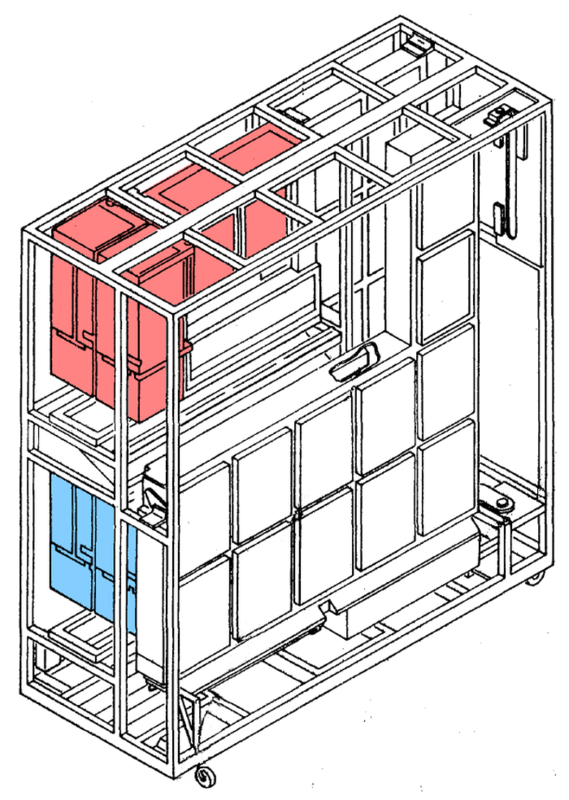 This diagram also illustrates why the cabinets were called frames: it was built from a frame of metal bars with side panels hung off the frame to enclose it. 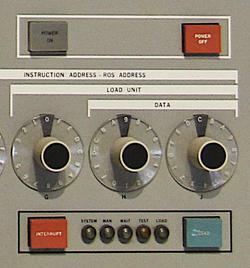 The storage frame of the Model 50 held two 128-kilobyte core memory units (red and blue), along with other memory circuitry. Diagram based on the Parts Catalog. 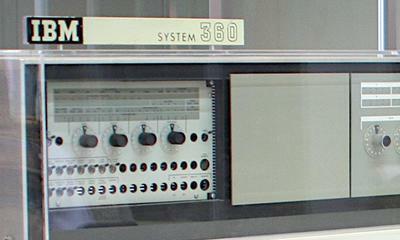 IBM System/360 Model 85. 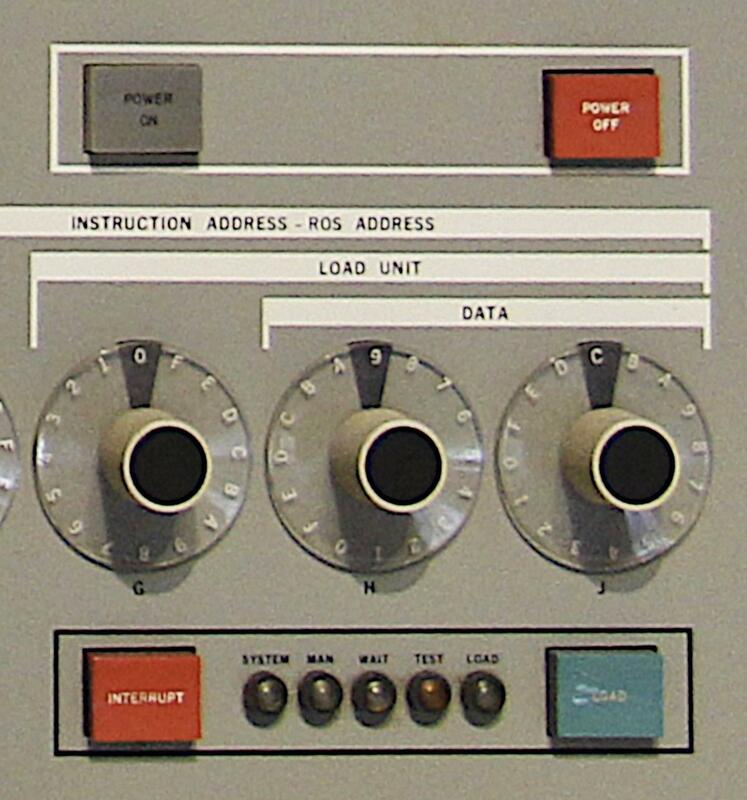 The double-H cabinet in the middle is the processor. Each cabinet in the front left held 256 kilobytes of storage. 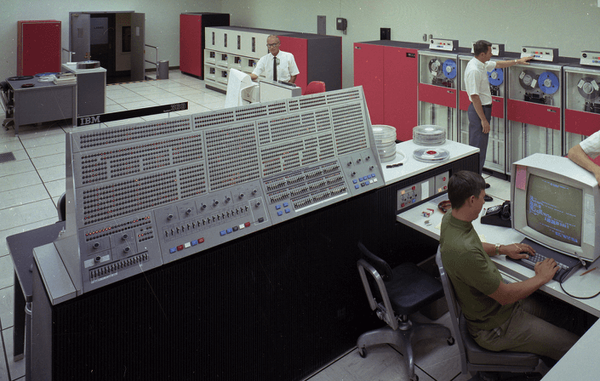 Photo from IBM. 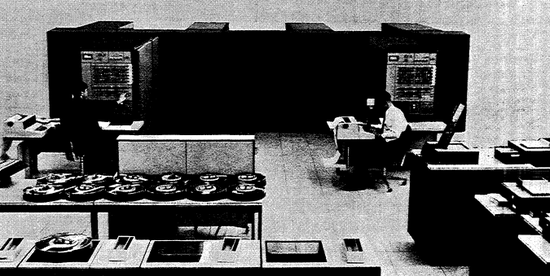 Computers in the early 1950s used memory technologies such as mercury delay lines and Williams tubes that were small and slow. Core memory was much superior and it led to the rise of the computer era in the late 1950s and 1960s. As manufacturing technology improved, the price of core memory rapidly dropped, from several dollars per bit to a penny per bit. 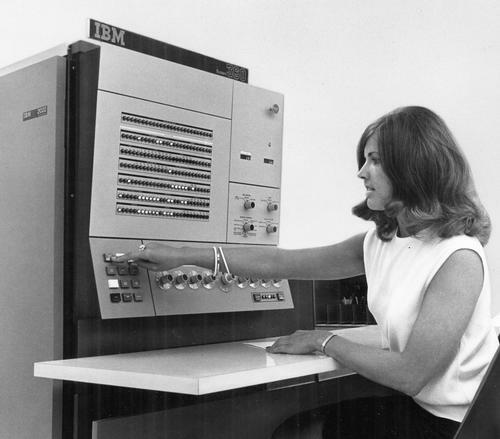 By 1970, IBM was producing over 20 billion cores per year. 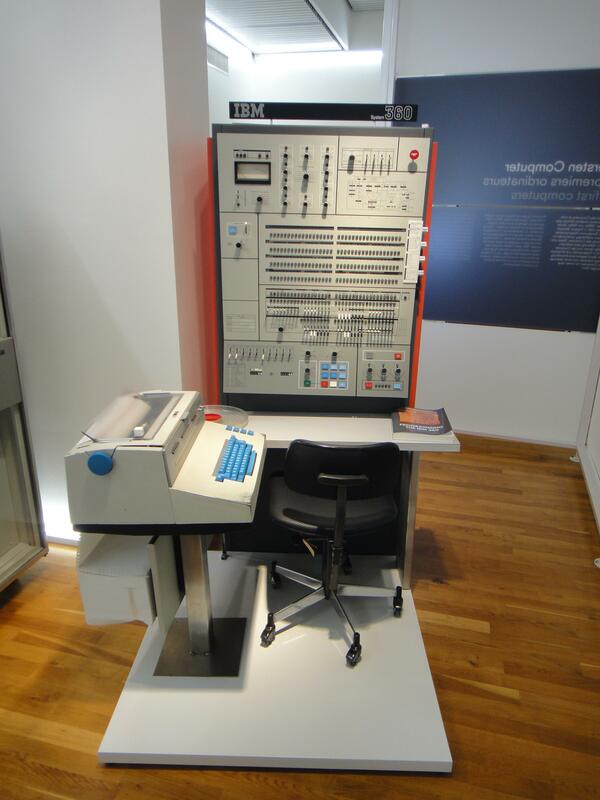 However, even with its steady improvements, core memory was not able to survive the introduction of integrated circuits and semiconductor memory in the late 1960s. 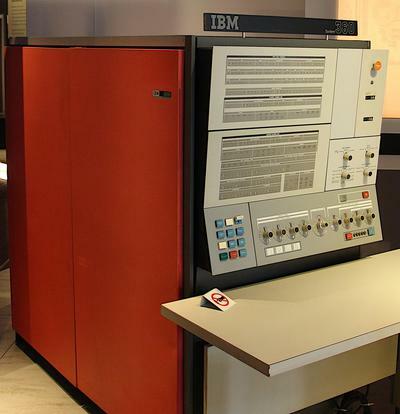 In 1968, IBM switched its development efforts from core memory to semiconductor memory. This led to the introduction in 1971 of the world's first commercial computer with semiconductor memory, the IBM S/370 Model 145. The capacity of integrated circuit memories grew exponentially as their price fell, as described by Moore's law. As a result, semiconductors took over the memory market from magnetic cores by the end of the 1970s. Now, thanks to DRAM memories, modern computers have memory measured in gigabytes rather than kilobytes and memory comes in a small DIMM module rather than a large cabinet. I announce my latest blog posts on Twitter, so follow me @kenshirriff for future articles. I also have an RSS feed. 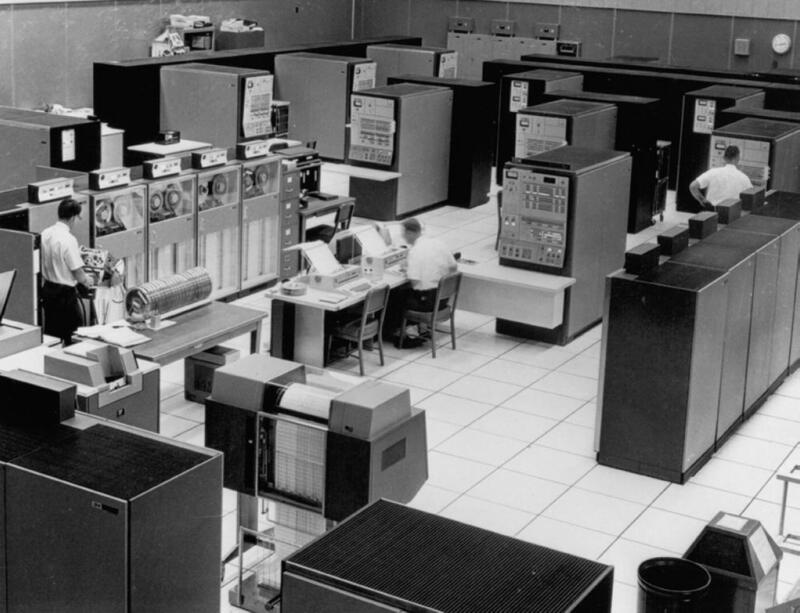 I've written before about core memory in the IBM 1401 and core memory in the Apollo Guidance Computer. Thanks to Robert Garner for supplying the core array. Thanks to Gio Wiederhold and Marianne Siroker for research assistance. In the video below, Marc, Carl, and I wired up a different type of IBM core memory plane and manually read and wrote a bit. It was harder than we expected; the signal from a flipping core is very small and hard to distinguish from noise. 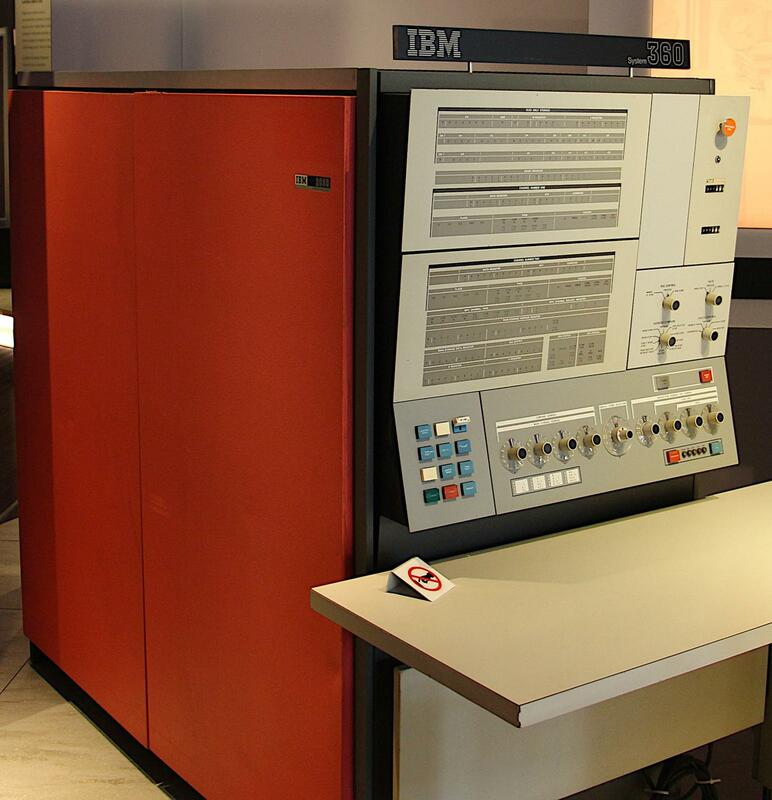 The book Memories That Shaped an Industry describes the history of core memory in detail, with a focus on IBM. The book IBM's 360 and early 370 systems thoroughly describes the history of the S/360. 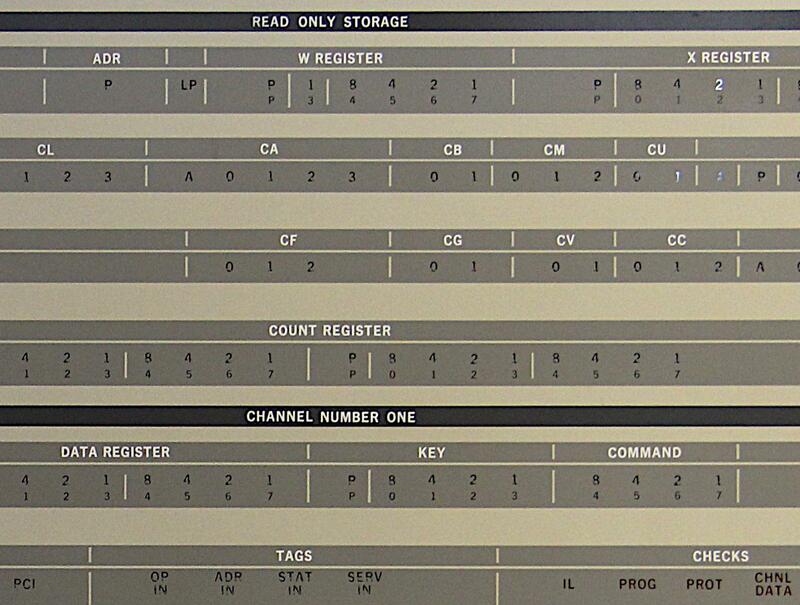 The memory system used in the System/360 Model 40 is explained in Model 40 Functional Units, page 141 onwards. See ibm-360.info for documents on the FAA's IBM 9020 system. The diagram below shows the dimensions of the 128 KB core memory unit, containing two sets of core planes. Each colored block is a core array of 18 planes, corresponding to the array shown at the beginning of this article. 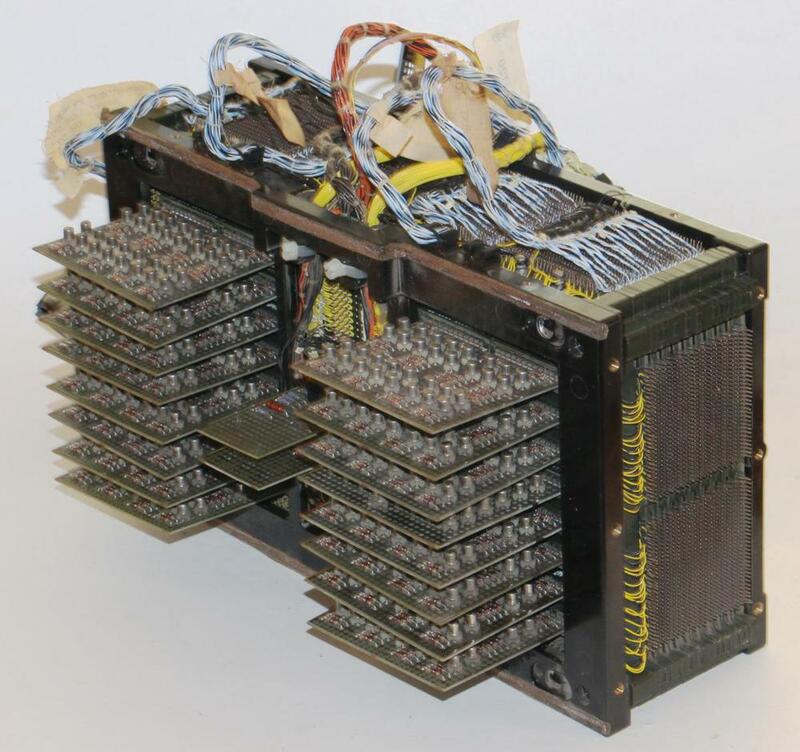 The 128 KB core memory unit contained two arrays and was almost three feet long. One subtlety of the coincident-current design is that if the wires pass through the core in opposite directions, the currents subtract instead of add. 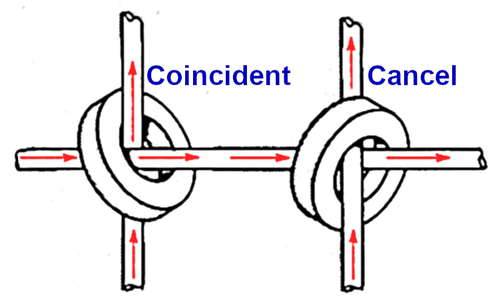 In the diagram below, the wires pass through the left core in the same direction so the currents coincide. But in the right core, the wires pass through in opposite directions, so the currents cancel out. This is important because neighboring cores are rotated 90° to prevent magnetic coupling. In order for currents to coincide, the direction of current must be reversed in every other line. To accomplish this reversal, lines through the core stack were wired alternating bottom-to-top versus top-to-bottom. If currents pass through a core in the same direction, they add. This is the principle behind "coincident-current" core memory. However, if currents pass through a core in opposite directions (as on the right), the currents cancel. The "phase reversal" technique used this cancellation to cut the number of X drive lines in half for this core memory plane. The trick was to run the X lines through half of the core plane normally, and then through the other half of the core plane "backward". When an X line and a Y line are activated, two cores will receive both X and Y currents. But only one of these cores will receive the currents in the same direction and will flip; for the other core, the currents will cancel out. On the other hand, by reversing the current through the Y line, the opposite cancellation will occur and the other core will be selected. 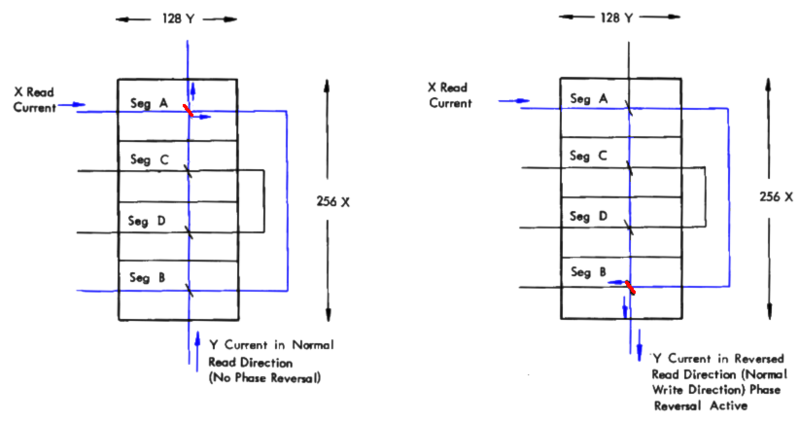 Thus, phase reversal allows the system to support twice as many cores with essentially the same driver hardware, just switching the Y current direction as needed. 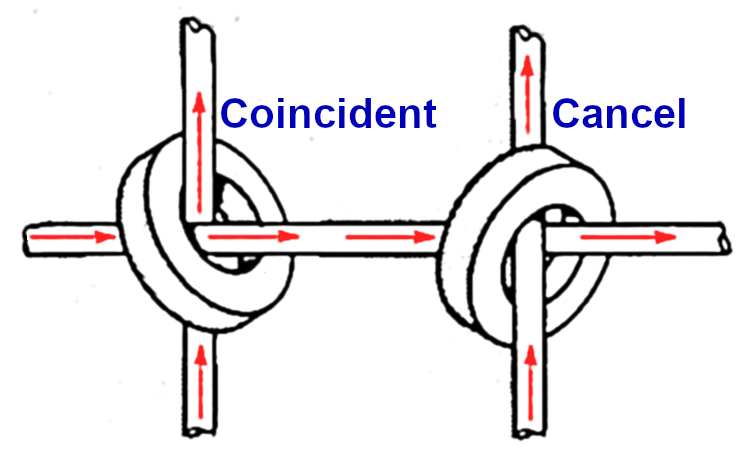 On the left, the coincident currents select a core in segment A. By reversing the direction of the Y current, a core in segment B is selected instead. With this phase reversal technique, one wire went through two X rows. Diagram based on Model 40 Functional Units page 147.